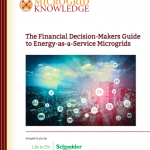 Are Hawaii's Microgrids Our Energy Future? In sunny Hawaii, where electricity rates are high–35 to 50 cents per kWh-it makes a lot of sense to focus on solar-plus-storage microgrids, says Hervé Mazzocco, senior director of business development for Imergy Power, which is now supplying energy storage for an existing microgrid in Hawaii. A look at the microgrids in Hawaii provides a peek into the energy future of the rest of the US, he says. Right now, combining the company’s energy storage technology with solar in a microgrid provides power that’s competitive in price with power from the grid, he says. “Hawaii has all the issues that will come to the grid in the US,” he says. First of all, more and more states are putting in place renewable portfolio standards and goals of reducing carbon emissions. That means that across the US, we’re seeing more and more renewable energy that we need to integrate into the grid in ways that are efficient. “The higher the penetration of renewable energy, the more stability issues start appearing on the grid,” he explains. “More and more states have 30 to 40 percent of their energy coming from renewable sources, and since all renewable sources are intermittent, storage is needed” to store all that renewable energy and release it when it’s most needed. Energy storage can help provide power for that secondary peak, or surge in demand. In other areas of the US, microgrids that include solar plus storage will be used more and more to help manage peak loads, he says. “In California and New York, it’s more about demand management and energy arbitrage to manage peak loads,” he says. Energy Research Systems has signed a purchase order for four of Imergy’s vanadium flow batteries, which are Imergy’s first orders in the US. Some will be used with a microgrid. 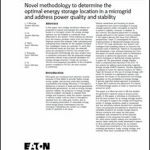 The microgrid customer is installing the batteries as it works to develop an off-grid microgrid to test various solar, storage, hydrogen production and other advanced energy technologies. A second customer, a technical school’s science center, will use the batteries in conjunction with a solar power system while the school evaluates how to take its entire campus off-grid using renewable energy and energy storage technologies. In addition, two residential customers are installing the batteries in conjunction with new off-grid solar power systems. These installations are just a preview of what’s to come in the US, says Mazzocco. Let’s keep an eye on Hawaii for cutting-edge energy installations.